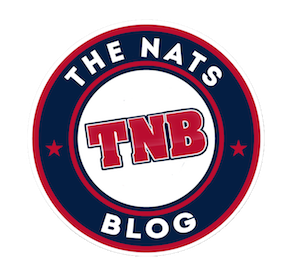 About two-and-a-half weeks ago, fellow TNB writer Nathaniel Brose thoroughly detailed Trea Turner’s increased selectiveness at the plate. Like many of us, she was waiting for Turner to start hitting. 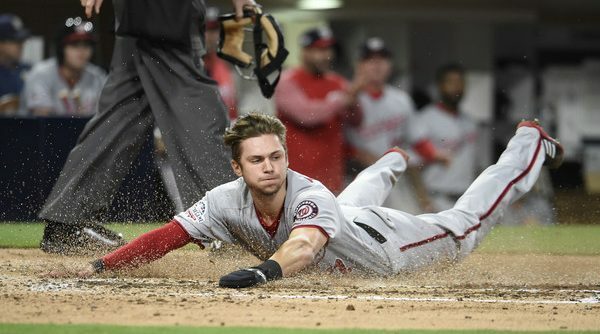 Trea has been getting on base all year — he has failed to reach base in only six games in 2018. 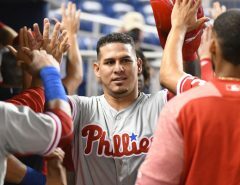 Coming into play on the on April 11, he was slashing a paltry .195/.340/.268. He had just one extra-base hit in that span too, a home run. 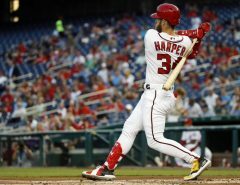 Since going 0-4 on the April 10, Trea has been raking, hitting .322/.408/.456, including seven doubles, a triple, and a home run. What is particularly interesting is this is done off a not-unrealistic .378 BABIP (Turner’s career average is .349). As fast a Turner is, he will naturally have higher BABIP due to his ability to leg out ground-balls which garners him more than his fair share of infield hits. During this 23-game on-base streak, Turner has continued his selective approach. He’s still walking 12.3% of his plate appearances over that timeframe. What we are seeing is Turner become a complete player. In addition to his increased selectiveness, Turner has also dropped his K-rate each year: from 18.2% in his amazing 2016 to 16.3% this year. His K-rate places him amongst difficult-to-strikeout Lorenzo Cain, Freddie Freeman, and Anthony “Respect Me!” Rizzo. Not only is Turner putting the ball into play more often, he is doing so with authority. His Hard% is at a career high in this young season, at 37.7%, and his Soft% is at a low of 11.3%. He is averaging 89.5 MPH exit velocity (Freeman is averaging 89.9 MPH, as a point of reference.) and has hit 47 balls at 95+ MPH (Fransisco Lindor has 48, Freeman 49). Looking at these metrics, one has to conclude that his .397 SLG and his .115 ISO are bound to increase. He puts a lot of pressure on opposing pitchers. He is 12-for-13 in stolen bases this year. His 162-game average for stolen bases? 65. That would have lead the majors by five swipes last year. Having Turner on base can make a pitcher think twice about burying a breaking ball for fear of giving up a base, or two. In Turner’s break-out year of 2016, he hit .342/.370/.567 and all of his peripheral metrics paled in comparison to his numbers this year. 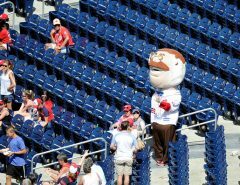 Though I don’t expect him to slug .567 like he did that year, I would not be surprised if he ended up with a Rendon-like .300/.400/.500 final line. Baseball is a fickle sport, and streaks can change in an instant, but one has to be excited about what Turner is doing and how his numbers are trending.